The ridiculously-titled Guacamelee! Super Turbo Championship Edition was actually a fun game, combining platforming with beat-em-up mechanics, all wrapped in a story that didn’t take itself too seriously. Four years later, and Drinkbox Studios is coming off the high that was Severed, a game that was 2016’s Vita game of the year for many. Does this mark a triumphant return for protagonist Juan Aguacate, or could Drinkbox finally be coming down after a string of successes? Find out in our Guacamelee! 2 review. Guacamelee! 2 continues a couple of years after the events of the first game. Since then, Juan has become a shell of his former self. While he’s not depressed or anything, he’s simply not kept in shape after the whole saving the world thing a few years ago. Things have stayed relatively quiet, and he’s gotten used to the more laid-back lifestyle of a peaceful existence. Nothing lasts forever, of course, and soon it’s up to Juan to save the collection of parallel universes known as the Mexiverse. In case it wasn’t obvious, Guacamelee! 2’s story has the same kind of attitude as the original. There’s a large cast of characters, who are quick to crack jokes and make fun of both the player and each other. There’s references to other video game franchises, though some are more obscure such as Bad Dudes Vs. DragonNinja. Each parallel universe has a theme, though in actual gameplay the player can alternate between the current universe and the world of the dead. The Guacamelee! 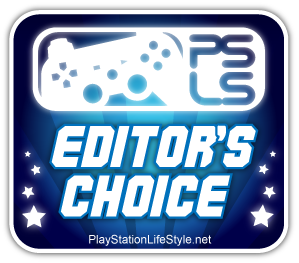 series has always been about challenging platforming interspersed with equally challenging combat. Guacamelee! 2 keeps the pressure up, with later levels that really test players’ skills. Since Juan has an expanded moveset, and certain enemies can only have their shields removed by being attacked with the proper move, some sections are bound to have to be repeated multiple times before clearing. Most players who buy the game will be looking for an old-school challenge like this, though the difficulty, while improved from the last time around, will still probably be too much for casual players to get over. Difficulty aside, Juan’s capabilities have been upgraded in multiple ways. For starters, at certain points in the story, Juan will meet five different trainers, representing different skill trees. By paying gold collected from fallen enemies and smashed out of items, new abilities can be unlocked. Once an ability is unlocked, it must be used on enemies enough times before a super version of the move can be earned, again via gold. These abilities can be purchased at any time, not just at the checkpoints as in the previous game. Juan can turn into a chicken again in Guacamelee! 2, but this time he can take on a more aggressive role while in this form. Various chicken moves can now also be unlocked, which must be used in some cases to progress in certain hidden areas. There are a bunch of challenge areas involving the chicken form, which can be ignored if the player either cannot or does not want to cope with the surprisingly intimidating challenge. For those that do venture into the narrow tunnels accessed via a statue’s mouth, prepare to be tested. As a chicken. One point of criticism in the original Guacamelee! was its relatively short length. Thankfully, Guacamelee! 2 clocks in at around the 15-hour mark. Speed runners have an online leaderboard to look forward to, as well. Upon completion of the main campaign, a new hard mode unlocks. While this isn’t a New Game+ mode, it does make things even more challenging than the first go-around, for those looking for more combo-mashing difficulty. 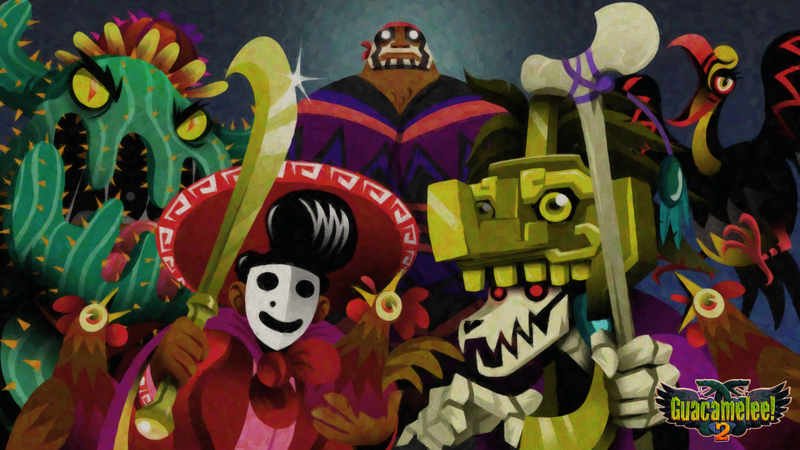 Co-op gameplay has made a return for Guacamelee! 2. Up to four players are able to drop-in and drop-out at any time. Having four players attempting to tackle some of the game’s later, more challenging platforming sections can be hectic. But thankfully, if one player makes progress, other players are forwarded along. This is an incredibly helpful feature, and ensures that even young gamers can have fun playing with an older sibling or parent, without hampering the experience of anyone. Whichever engine powers Guacamelee! 2 has been upgraded since we last saw Juan. Playing on a PS4 Pro, the Mexiverse has never looked better. The frame rate stays solid throughout the adventure, even in co-op. Although Guacamelee! 2 is a 2D Metroidvania, it is rendered with 3D technologies such as normal mapping, to give lighting extra detail. Guacamelee! 2 is the sequel the original deserves. Fast, fun, funny, challenging, and chicken-filled, Juan Aguacate shows us he’s still got a few tricks up his mangas (sleeves), especially when he takes on his chicken form. Buying Guacamelee! 2 for $19.99 at launch is a no-brainer for fans of the original, as well as fans of platformers, beat-em-ups, co-op games, and anyone who wants to let their inner Luchador soar. Guacamelee! 2 review code provided by publisher. Version 1.00 reviewed on a PS4 Pro. For more information on scoring please see our Review Policy here. Now including real chicken combat!